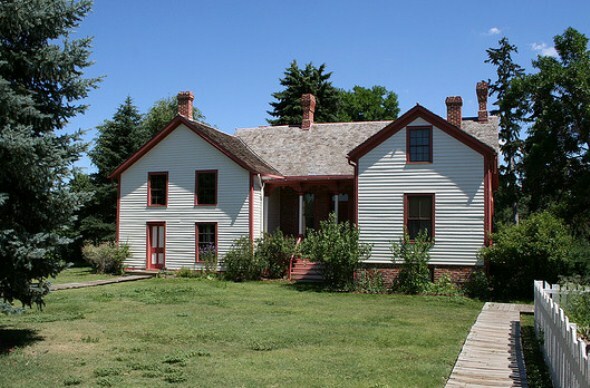 The Four Mile Historic Park is the home of Denver’s oldest structure and a museum with exhibits about the life of the city’s pioneers in the 1880s. The 12 acres of gardens and farmland, along with horses, goats and chickens, also offer an escape from the bustle of downtown just four miles away. The Four Mile House, which is open for tours, was built by the Brantner brothers in 1859 on 160 acres of unclaimed land on the banks of Cherry Creek. The property eventually grew into a prosperous 600-acre farm run first by Mary Cawker and her sons and then by Levi and Mille Booth. The homestead became the last stage stop on the Cherokee Trail for newcomers bound for the settlement on the Platte River that was then called Denver City.